Our family loves subscription boxes. At one point I was subscribed to Ipsy. The Weekend Chef tried Birchbox Men for several months. We then had a subscription to Universal Yums! international snack box which the whole family could enjoy together. So, when I saw that Nerd Block was having a 50% off single boxes for December, the Weekend Chef and I thought our daughter would enjoy receiving one in the mail. Boy were we correct! She was super excited. The kids’ first YouTube video was our daughter showing off her box. 1. Teddy from Mr. Bean – So, my daughter first thought that this Teddy was a sock monkey when she opened the box. I’m not sure why this was included in a box clearly intended for kids. No child I know of is familiar with Mr. Bean. 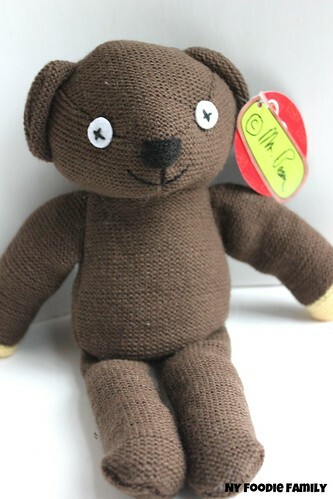 This bear is made by Fiesta plush toys, but I couldn’t find this particular toy on their site. 2. 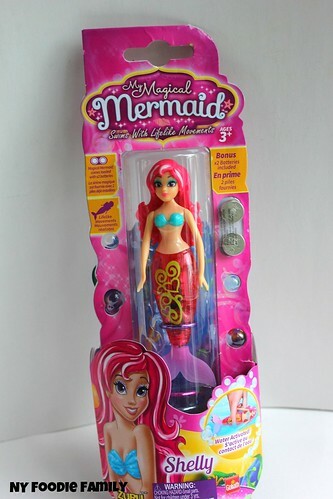 Magical Mermaid – This is a toy in the Robo Fish Line made by Zuru. There are three different mermaids in the line and my daughter received Shelly. The mermaid is battery operated and swims in water. We have seen these retail on different sites from $4.98 – $8.00. 3. 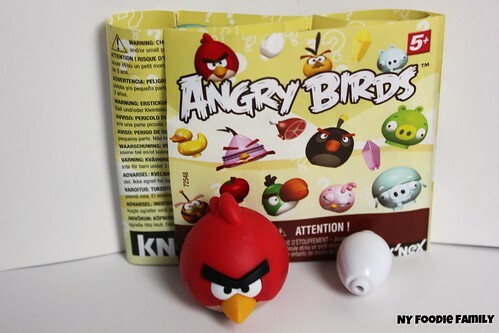 K’NEX Angry Birds – We are K’NEX fans and have a couple of sets. My son used to be OBSESSED with the Angry Birds app. Enclosed in the box was a Season 2 blind bag. Inside was the red angry bird with an egg. My daughter kindly gave this to her brother, who she knew was an Angry Bird fan. These retail for $4.99 each on the K’NEX site. 4. Frozen Olaf Key Ring – My daughter’s almost 10 and kind of over the whole Frozen thing. 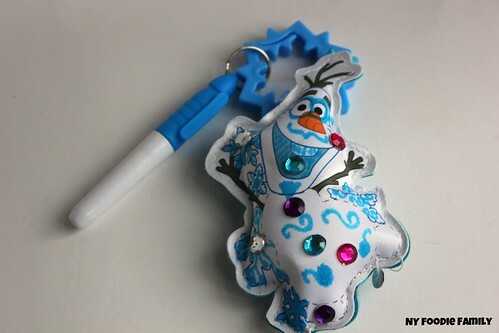 This Olaf key ring, made by TARA Toy Corp. came with one blue marker and several gems to decorate it. She likes art and enjoyed decorating the key chain, but once that was done, it was relegated to a drawer in her room and we haven’t seen it since. I couldn’t find a retail price for this key ring. 5. 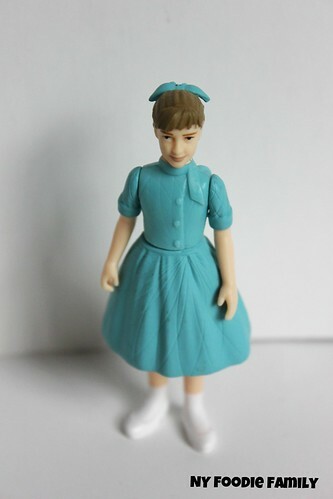 Tomorrowland Athena figure – We ended up watching Tomorrowland without our daughter, who had lost electronics the night we watched it. So, she was not familiar with Athena. I’ve since put the movie on hold again from the library and she now knows who Athena is. In the box was a poseable Athena figure, made by Funko. We have seen this figure originally retail between $10.99 – $12.99 at most online retailers, but is currently on sale for $5 – $6. 6. 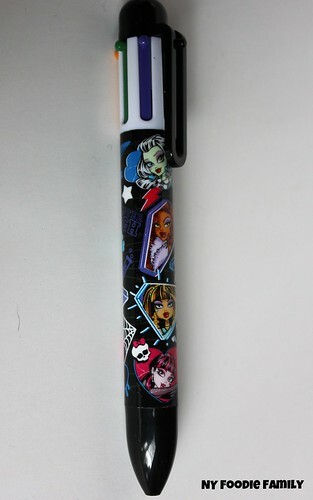 Monster High 6 color click pen– This was by far my daughter’s favorite item in the box. She likes Monster High and also loves writing and drawing. I found this pen retailing for $5.70 on Amazon. Overall, this box had a value higher than the $7 I paid for it. I’m not sure I can say it was worth the original subscription price of $13.99. I’m not sure this is the best subscription box for my almost ten year old daughter. Most of the items in the box didn’t really appeal to her. 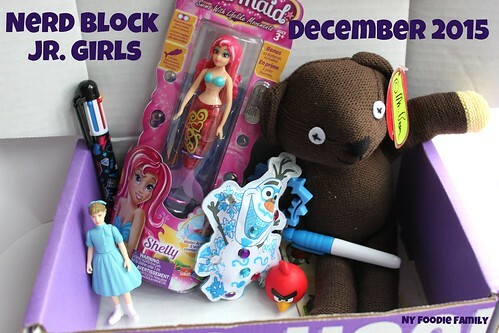 I have the January Nerd Block Jr. Boys ordered for my son for January. After that unboxing we will see if we will continue the Nerd Block subscription.